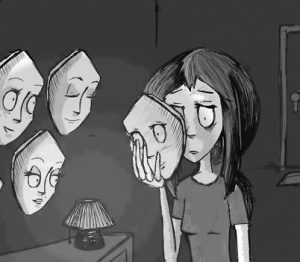 A few months into 2016, I had to admit to myself and accept the fact that I suffer from depression. I had suspected as much for a long time, but I guess I wasn’t ready for depression to be my reality. It took the Holy Spirit to speak to me before it became alright for me to accept my depression. As the year moved along I began to understand how my depression manifests itself–in aggression, agitation, and anger; I learned that many African American women suffer from depression in silence, and I witness first hand how people think you can pray depression away. Dealing with my own depression got me thinking about the “Angry Black Woman” stereotype that is associated with so many Black women. If my depression made me confrontational, angry and defensive, how many sisters out there are suffering from depression and not know it because they are not experiencing typical depression symptoms? Once I accepted my depression I found myself in a different predicament; one where I couldn’t really talk to anyone because in the Black community mental illness is so stigmatized that I was ashamed to admit to others that I was depressed. When I finally did work up the courage to blurt it out that I suffer from depression, I heard the blood boiling, dismissive response that depression is just the trick of the enemy. I know that it wasn’t malicious but I just want to yell would you tell someone with diabetes that their condition is the trick of the devil? What about someone with Parkinson Disease? MS? High Blood Pressure? Why is like this for depression–other mental illness–with the Black community? Now that I have accepted my depression, I am beginning to understand my depression, I really want to seek professional help so I can better deal with it. I don’t really want to take medication but I’m open to talk therapy. Another goal in 2017 I want to accomplish is to help other African American women accept and deal with their depression and other mental illness. I want to bring awareness to our community and break the shame that is associated with depression. Are you afraid to deal with your depression?